Some notes on this (and a related inline font) in this WTF thread. Here’s the very similar Checkmate. I wish I knew more about it than what I wrote on that Fonts In Use page. 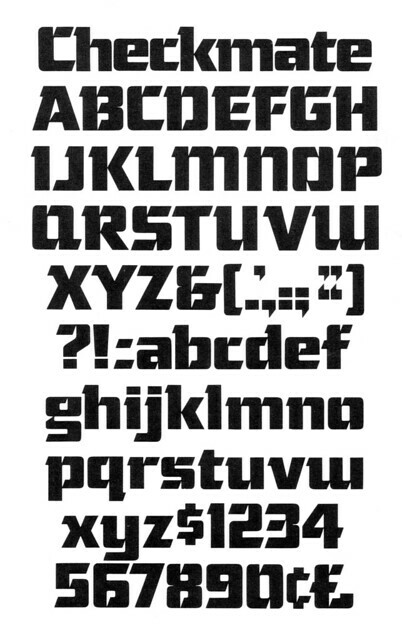 The Robotech titles might have used a modified version of Checkmate or there were other variations of the typeface.